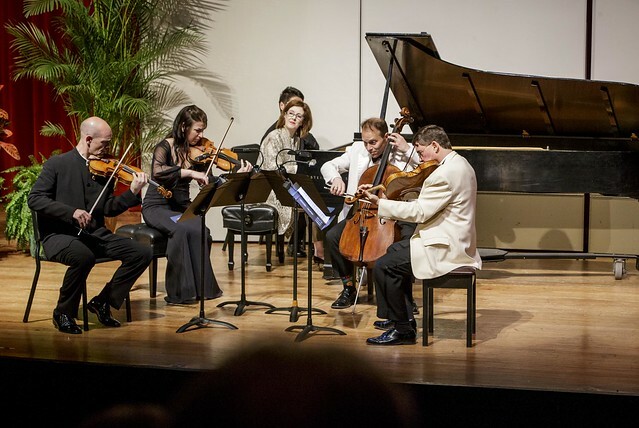 The McKnight Center’s inaugural Chamber Music Festival has come to an end but the series of performances left an everlasting impression on all who attended. The musicians performed to Festival patrons five concerts, including a Family and Youth Concert during the teacher walkout, three intimate soiree performances across Central Oklahoma and one free community concert at the Seretean Center at Oklahoma State University. The musicians also conducted master classes during the week for students at OSU. The Festival began with a sponsor reception in Stillwater at the home of Bret and Amy Jameson. Audiences were thrilled to hear such talent emulating from the stages at the Philbrook Museum in Tulsa, Francee and Jeff Humes’ home in Oklahoma City as well as in the Seretean Center and Willard Hall on the campus of OSU. 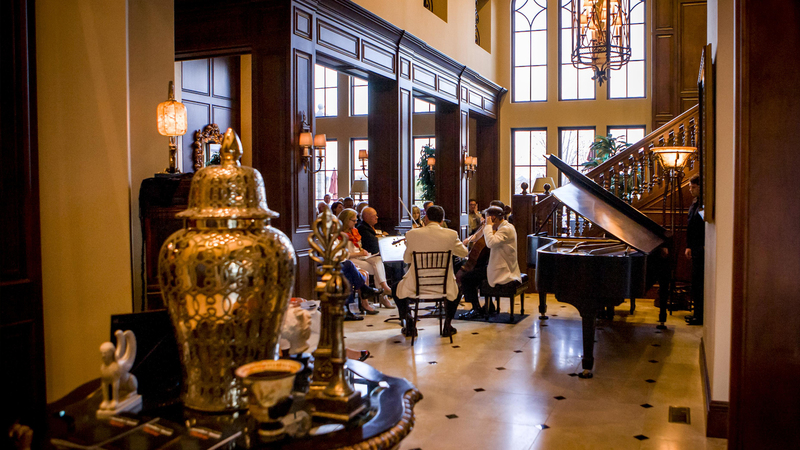 Programs ranged from Mozart to Gershwin to Beethoven to Dvorak, all played to perfection. Famed concert pianist and chamber musician Anne-Marie McDermott was this year’s Festival artistic director and will be returning next year with a new roster of inspiring artists. McDermott’s career spans more than 25 years as a soloist and collaborator. With over 50 concerti in her repertoire, Ms. McDermott has performed with many leading orchestras including the New York Philharmonic, Minnesota Orchestra, Dallas Symphony, Orquesta Sinfonica Nacional de Mexico among many others. She is also a member of the Chamber Music Society at Lincoln Center.